Wargaming company, the developer and the publisher of one of the most popular game - World of Tanks, has announced its participation in E3 event. This year the world-wide exposition will be held in Los Angeles in the period from the 11th to the 13th of June, and will get together, as always, a lot of big games companies, whose purpose is the presentation of their new projects. That's why (we suppose) Wargaming has decided not to miss this opportunity. The company is planning to demonstrate its current MMO projects: World of Tanks, World of Warships and World of Warplanes. 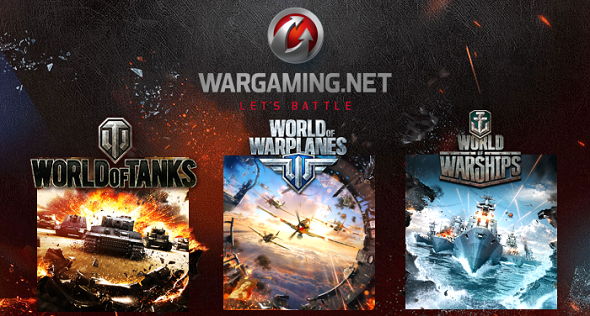 Wargaming is also intending to alternate World of Warplanes air combat and World of Tanks tank battles to give the opportunity to E3 audience to appreciate the improved and modified control and updated game graphics of MMO action games. Also, they will pay attention to World of Warships. All stunning and truly spectacular naval battles, wich take place in the gameplay, will be shown every hour in a specially equipped room near the stand of Wargaming. So, dear gamers, if you have the opportunity to visit this magnificent E3 event, do it and you will not regret, because it promises to be very interesting and full of the most positive emotions.